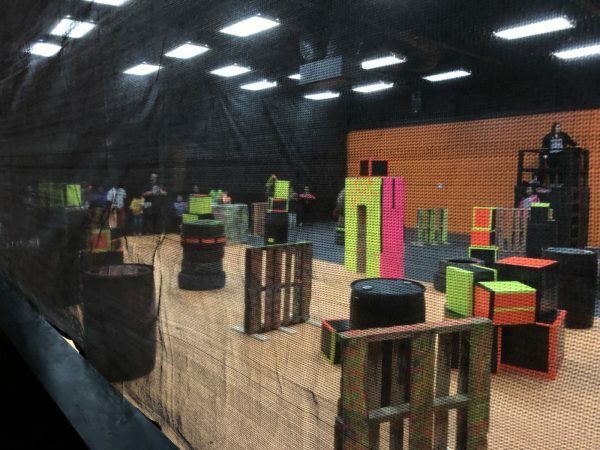 First Look at Nerf Warz Battlefield & Arcade – Wichita By E.B. 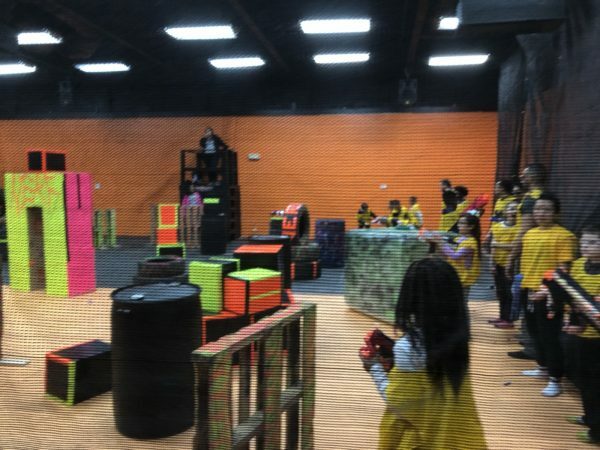 As we reported yesterday, Nerf Warz Arcade & Battlefield officially opened to the public. They had a grand opening with $5 an hour play, food, and giveaways. All the kids on the Wichita By E.B. staff love Nerf gun arenas; there isn’t a single kid that doesn’t own a Nerf gun. When I say kid, I’m including myself. I might be the only person my age with a Nerf gun on his birthday wish list this year. We’ve gone to all the options in town such as the now closed Dart Warz and the newer Battle Quest on south Rock Road. 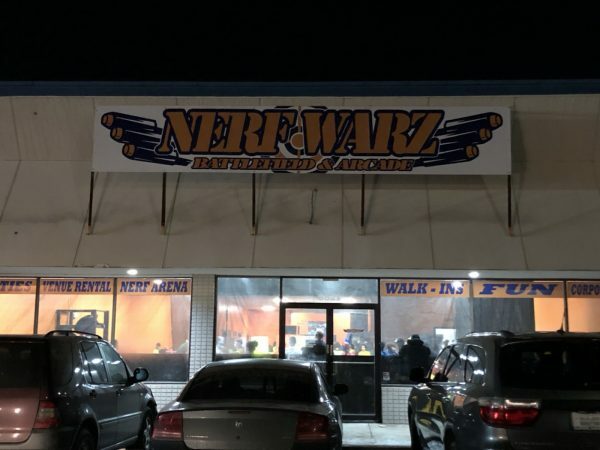 So we swung by the opening of Nerf Warz Arcade & Battlefield to get a quick look at what to expect. Nerf Warz Battlefield & Arcade is your Nerf-gun foam-dart battlefield aimed at children 4-15 years old. 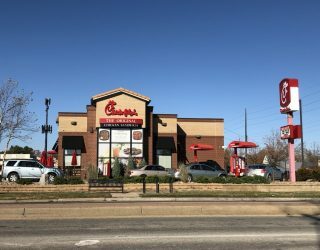 They are located on east Kellogg in the space nextdoor to the former Sal’s Steakhouse. Best way to get there is off of Woodlawn and heading east on Kellogg drive. Upon walking inside, the opening did feel a little rushed. The smell of paint filled the air. It was very noticeable that they were still getting things ready that afternoon. We had two kids with us and the very first thing they noticed was the size of the battlefield. It felt like half the size of the other competitors. While there were high ceilings and plenty of lighting, the field made it all feel very congested especially on opening night when it was packed. For a group of 8-10 kids playing five versus five, perhaps it would be good but anything more could get very crowded. There just wasn’t much space to run around and hide. One feature the kids love about any arena are the hideout places. Nerf Warz Battlefield had some tires that kids probably 6 or younger could hide behind or even duck in but that was it. The other boxes they had felt a little flimsy. They also had wood pallets on the field that looked out of place and unsafe. Those would need to be changed. We had a couple ten-year-olds with us and there wasn’t enough places for their size to hide behind. 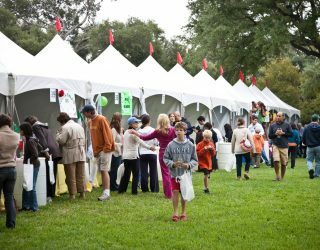 The field is a stark difference than the one offered at Battle Quest who just recently expanded theirs. Nerf Warz Battlefield has promise but needs some time. It was their opening day and I’m sure it’s a work in progress. They still have some kinks to work out like adding shoe cubbies, training their refs and getting processes down. The size of the field is definitely going to be a deterrent for larger parties and possibly even teenagers. I say give them some time. Until then, it’s Battle Quest for us but we will be back probably in a couple months to see what improvements are made. To nominate your restaurant, business or event to be considered for a review, please email us with your information. We are always open to suggestions. Very unsafe. 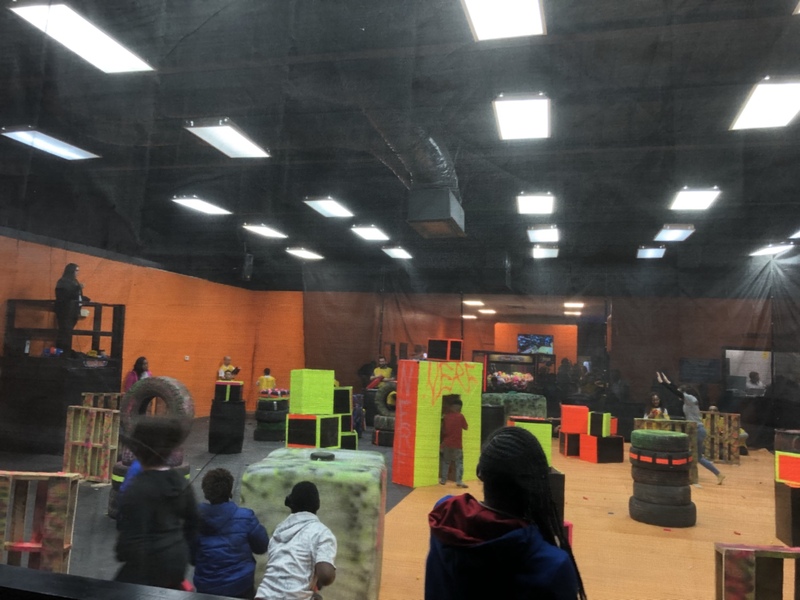 My children were not pleased last night, we went straight to Battle Quest after seeing the unsafe air quality and hastily constructed environment. Seems like a cheap cash grab.